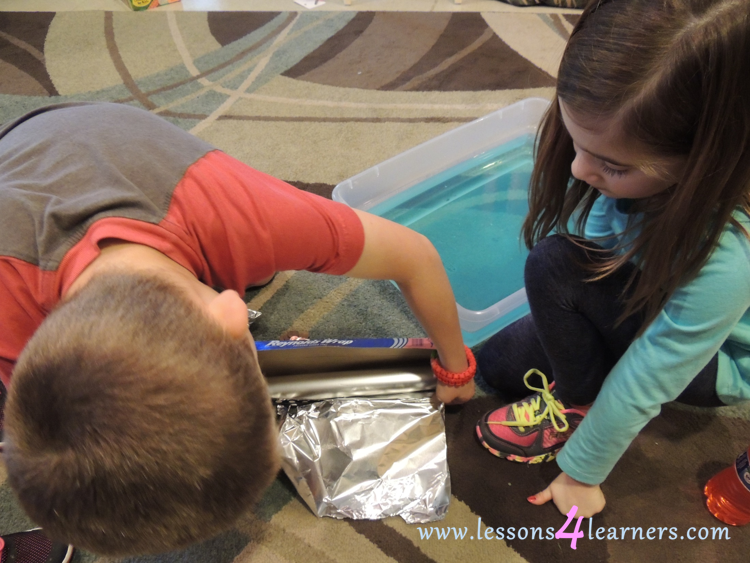 2-3 APPB Scientific ideas and discoveries can be applied to solving problems. 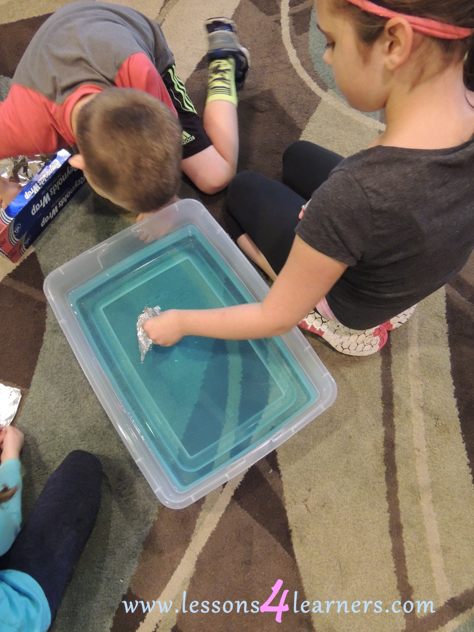 Invite students to make a boat. 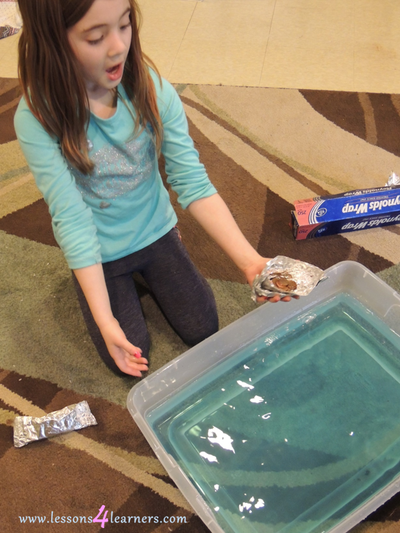 Challenge them to make it strong enough to hold several pennies. When they are finished, test the boats in the water. 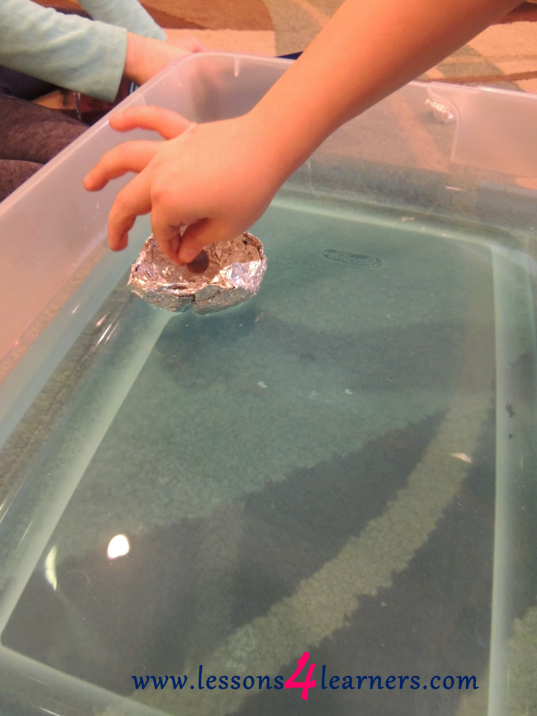 Allow them to reconstruct their boats to be stronger and test again. When finished, you can have a conversation about what makes a boat able to withstand more weight. Observe and record how the student created their design. Did they have any special/unique approaches? 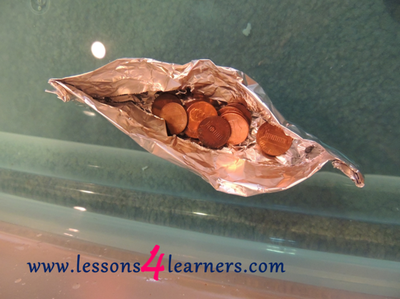 **Do not assess students on how many coins their boat was able to hold. ** The purpose of the lesson is to encourage creative thinking and engineering skills.